Our Autumn Term newsletter is now available with up to date information about all things anti-bullying! Our new newsletter is now available so find out what's going on in the world of anti-bullying in Leicestershire and beyond! Check out our 'recently updated' page for more information on 'The role of the Anti-Bullying lead Governor' and 'Peer support training for primary schools'. We are now signing schools up to take part in our Beyond Bullying Award, starting in September 2016. Schools work towards an accreditation over the academic year, with support from the Anti-Bullying Team. For more info and to sign up, please see the flyer below. Leicestershire Anti-Bullying survey 2015 results now available. Stonewall have produced two exciting new resources for primary schools to help prevent and tackle homophobia, biphobia and transphobia. 'Getting Started' is a toolkit for preventing and tackling homophobia, biphobia and transphobia in primary schools, which provides a framework and a set of practical tools to help primary schools start to tackle HBT. Also available is a 'FREE' Workshop Pack which has been produced in conjunction with Apple Pie (Performance in Education) to help school staff run fun and engaging workshop sessions on the DVD resource FREE. Please visit our homophobic/biphobic bullying page for these and other useful resources. 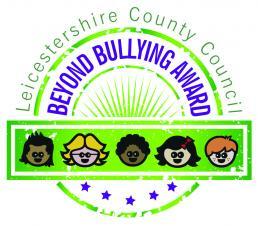 Hello and welcome to Leicestershire County Council's new and improved anti-bullying website, Beyond Bullying! We have been working on the site over the past few weeks to try and make it easier to use on mobile phones and tablets and also to make it look a little more appealing so we hope you like it! 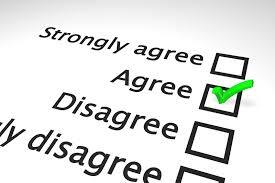 We always welcome any feedback you may have. If you have a question you would like to ask the Team, please check out our 'Ask Us' page.